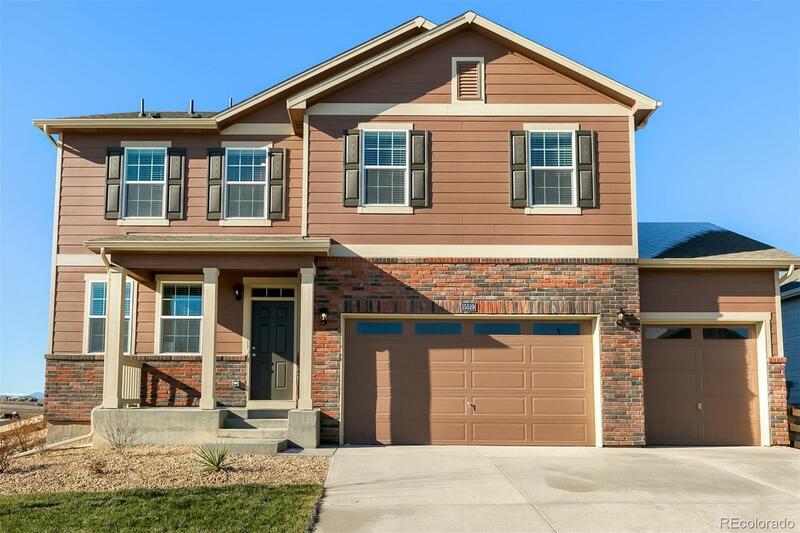 New construction home with builder warranty in brand new Waterside at Todd Creek by D R Horton in Thornton! The Gable is a beautiful 2-story plan with 3 car garage. Fantastic kitchen layout with stainless appliances, granite counter tops, and huge pantry! Open concept floor plan. Large master suite and upstairs laundry. Plenty of room to enjoy your backyard. Front and backyard landscaping includes sprinklers, sod, rock, trees, shrubs and fence. Builder 2-10 Limited Warranty. Ready for immediate move-in.